The invitation for Stella McCartney’s fashion show in Paris came in a glossy pouch with “I am 100% compostable (and so are you! )” printed on it. Inside was a freebie with purpose: a pair of yellow socks made from 85% upcycled yarn using no water, chemicals, dyes or pesticides. In a socially conscious climate in which more and more fashion brands are pledging their commitment to sustainability, such details matter. But McCartney has been exploring ethical fashion since she set up in 2001, when it seemed like an eccentricity – or even a nuisance – to many in the wider industry. Seventeen years later, McCartney’s winter show on Monday came at a crucial moment for her company, which is currently in talks with the French luxury conglomerate Kering – which owns 50% of the brand – about McCartney buying her share back. “That’s not confirmed, but the option is there,” she said backstage, with her representative confirming that the decision would be made by the end of the month. In any case, it was an appropriate time for what McCartney described as a mindful and considered exploration of “what we stand for in this industry”; a chance to reevaluate and modernise it and “take it to the highest level”. 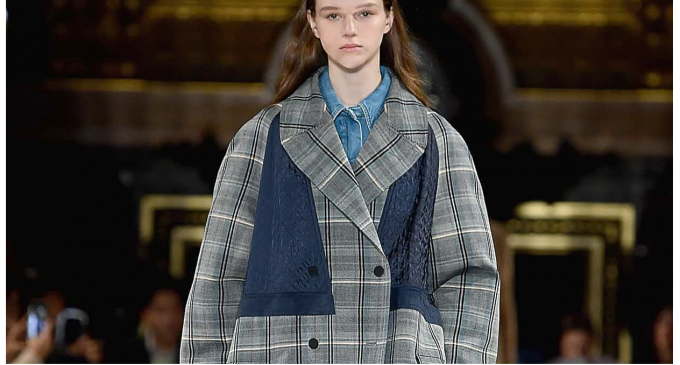 On the catwalk that theory was brought to life in a show that combined menswear and womenswear for the first time and focused on twisted tailoring. Suit jackets appeared to have been turned inside out so the silky lining was on display, and there were lingerie-inspired dresses in soft boudoir colours, along with the repeated use of paintings by JH Lynch, including his mysterious kohl-eyed Tina. The kitsch touch brought a welcome note of eccentricity or, as McCartney described it, of “something a little bit wrong”, to a covetable, luxe collection. 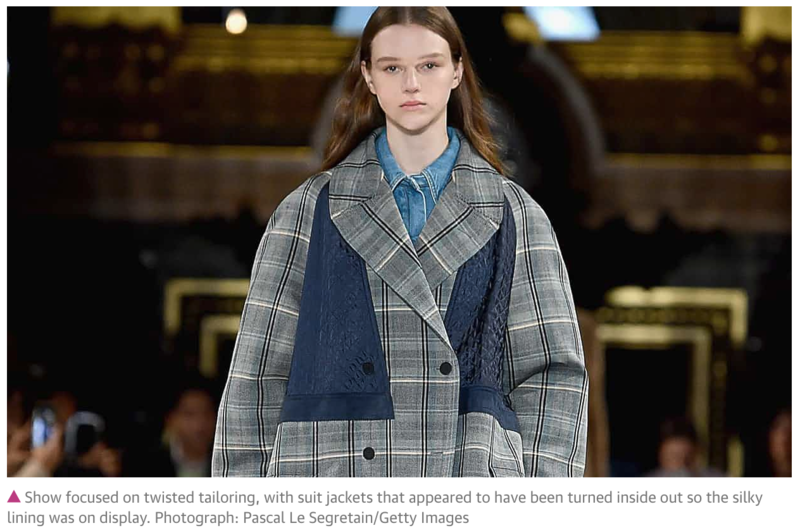 Only by reading the show notes would you know that this was ethical fashion, employing fur-free fur, skin-free skin, faux leather and “loop” trainers that use special stitching instead of glue. Of the trend towards sustainability, McCartney said: “I hope that I am joined by more people, and I think it’s unavoidable that it will be part of the curriculum for consumption, because the next generation need a planet to live on and they deserve no less. Whatever she does with the business side of the brand, McCartney will remain ethical in her focus, she said, “until I am decomposing – like my invitation”. I appreciate there not being a paywall: it is more democratic for the media to be available for all and not a commodity to be purchased by a few. I’m happy to make a contribution so others with less means still have access to information. Thomasine F-R.